The other busy main street of Cork, lined with pastel-coloured houses and department stores, leads on from Grand Parade. It too was once a canal. 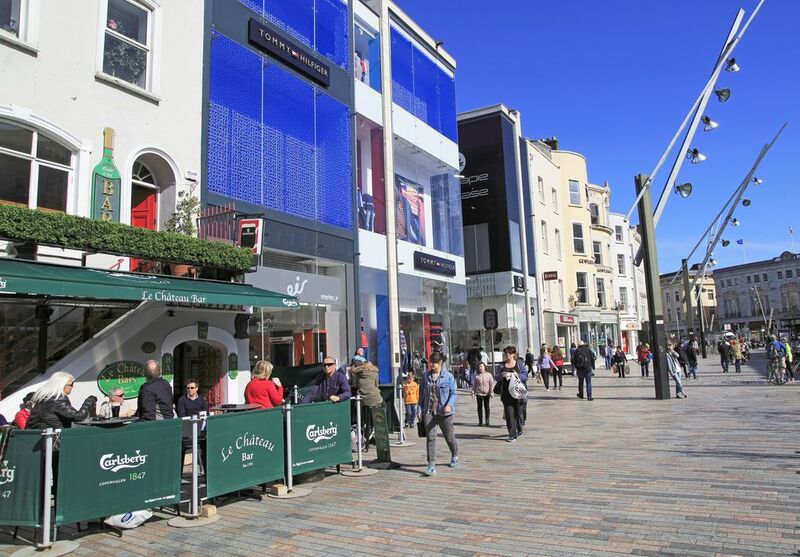 On either side of St Patrick Street, there is no lack of pedestrian lanes, which are a hive of activity, like French Church Street which leads into Paul Street in the north.